Video and audio files come in different formats. Sometimes you may find that you cannot play a video with a particular format in your device. This video needs to be converted to another format that is compatible with your device player such as Windows media player for Window devices or QuickTime for Macs. Codec is used to convert these videos and audio files to formats that can be played by these media. Therefore, a codec is a computer program that converts these files by encoding or decoding them to the desired format. A Codec pack consists of many codecs that are installed at once instead of installing one codec at a time. The VLC Codec Pack assists in converting videos to a format that can be played on your device. The codec pack comes with codecs that enable various video formats to play on your device. Videos can be converted to or from MP4 using the VLC media player that comes with the VLC codec pack. To do this, you can follow these simple steps: open the VLC media player and click Convert/ Save. 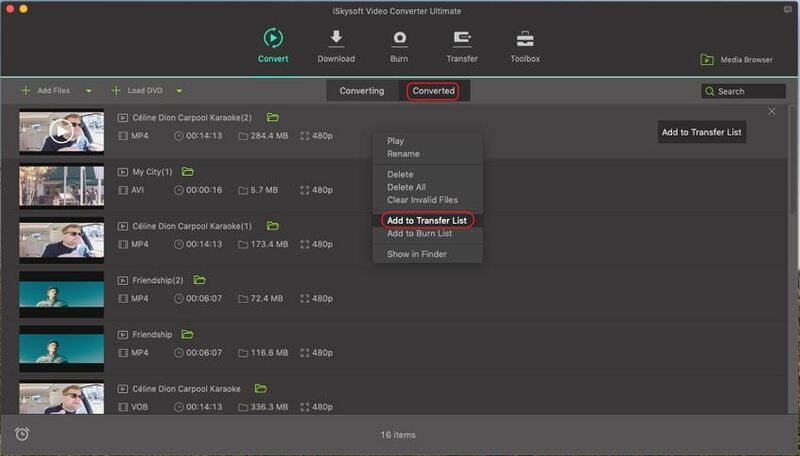 Then select the videos to convert using the Add button. Select the destination file. Under Profile, select the output format and then click Start to convert, in this case to MP4 format. Step 1. Open VLC Media Player - First of all, you need to launch the VLC Media Player and click "Convert/ Save". Step 2. Add Videos - After that, you need to add the MP4 files you need to convert into the program. You can do this simply by hitting the "Add" button. Step 3. Select Output File/Format - Next, you need to choose an output format for your video and determine a destination file to store your converted file. Step 4. Start Conversion - After you have finished, click "Start" to start the conversion. 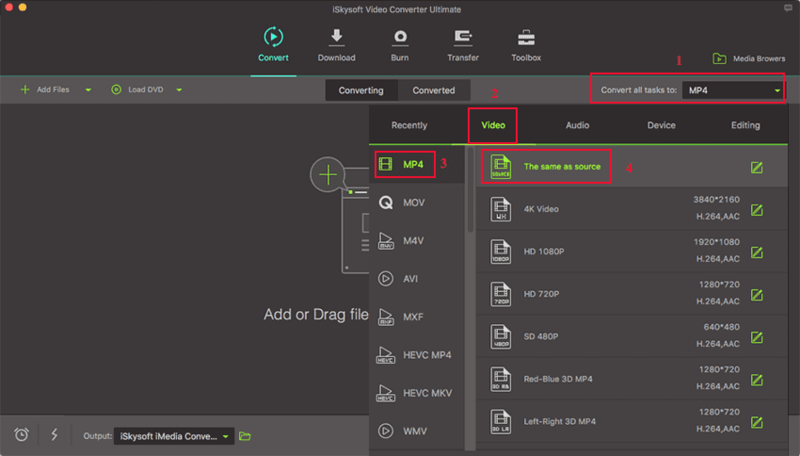 The best alternative to MP4 Codec is iSkysoft Video Converter Ultimate. This is a computer program that is used to convert videos from one format to another. Instead of using VLC MP4 codec, you can use this iMedia Converter Converter to convert videos to a format played on your Mac device. This is the best alternative because the software converts videos 90 times faster and it maintains the original quality of images and audio. 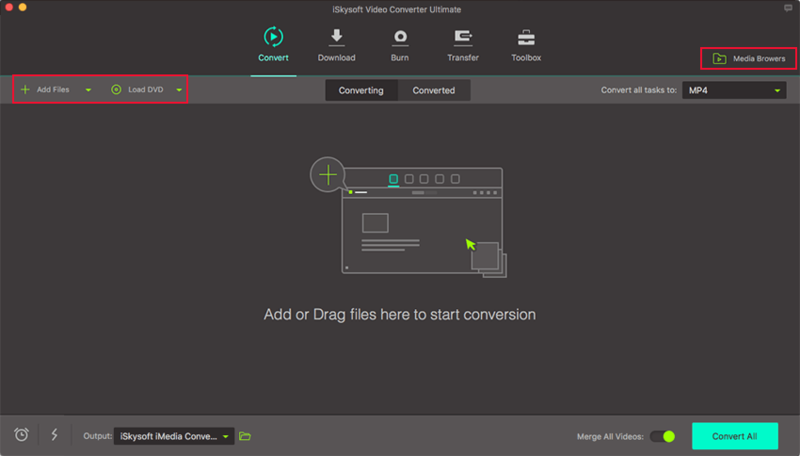 iSkysoft Video Converter Ultimate can also be used to download videos and audio as well as burn DVDs. 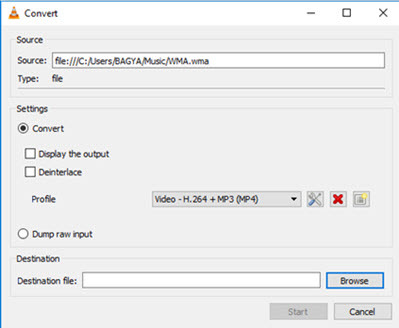 Convert MP4 videos with only three simple steps. Convert MP4 videos to almost all popular formats. Download online videos from 1,000+ popular sites. Burn MP4 videos to DVD. Edit MP4 videos before conversion. Preserve the original video quality after conversion. You can use two ways to import files into the software for conversion. Drag and drop the files that you want to be converted to the open program window. 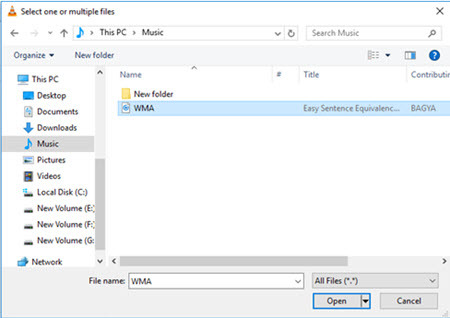 Instead of adding a single file each time, you can add a folder. Only note that all the contents of the folder will be added for conversion. 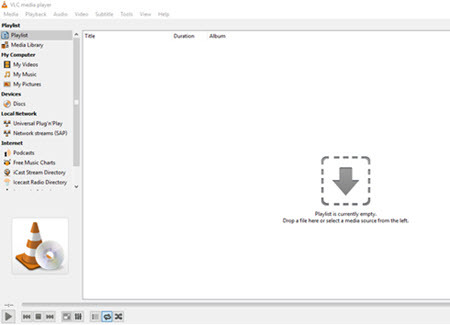 Alternatively, you can click the "Files" button and then select "Load Media Files" to do this. Choose the format that you desire as output. This program supports more than 150 formats that are in six categories. Here, the recommended format for your converted videos is "MOV". Click "Convert" to start the conversion. Once it is completed, a prompt message will appear asking whether to open the folder. Videos/Audios Conversion You can convert your MP4 videos to a bunch of other formats. Formats supported include AVI, MP4, MOV, NUT, NSV, WebM, MKV, M2TS, TS, VOB, MPEG-2, MPEG-1, MP3, AIFF, WAV, and so on. The converting process is of high speed. Download Online Videos You are able to download tons of online videos from a variety of popular sites including YouTube, Break, Facebook, etc. After that, you can directly convert them to suitable formats and have them played on your mobile devices. 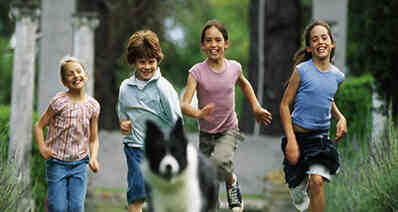 Video Editing You can customize your MP4 videos with the help of various video editing tools provided by the program. You can crop, trim or rotate your videos as well as add watermark and subtitles to your videos. Burn to DVD Video Converter Ultimate makes it easy to burn any downloaded video onto DVD so that you can play it on your big-screen TV. You can also choose a menu template to burn your DVD.